Clinical trials are medical and scientific tests designed to gather data on new drugs and medical treatments using human volunteers. 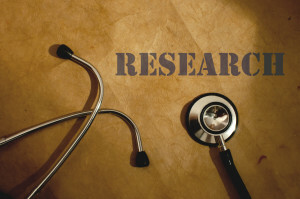 Clinical study many different diseases. They look at ways to prevent disease, new ways to diagnose disease and potential new treatments. As an example, a clinical trial may study anything from a new lotion to treat acne to a long-term pill to help prevent cancer. Government agencies, private organizations and pharmaceutical companies sponsor clinical trials. The purpose of these clinical studies is to find a better treatment than the one that is currently available. Volunteers in clinical trials must meet eligibility requirements in order to participate. They are required to give informed consent, meaning that they need to be informed about what is involved in the clinical trial prior to agreeing to participate. Which Phase are You Enrolling In? Clinical trials occur in four phases, phase I – phase IV. Phase I trials are the first time that drugs are given to humans. Prior to this they are tested on cells and animals. The drugs in this phase are given to a small number of participants who are watched very closely. The drugs are also given in very small doses in order to determine safe levels. As the phases of clinical trials progress the number of participants generally increases. The more volunteers the treatment is effective on, the more promising the drug looks. At each phase the results of the trial are reported to government agencies for approval to move to the next phase. By the time a drug reaches phase IV clinical trials it is often made available to the public. It continues to be studied for potential uses other than what it was originally created for. They are also studied for use in populations that they were not originally tested on.